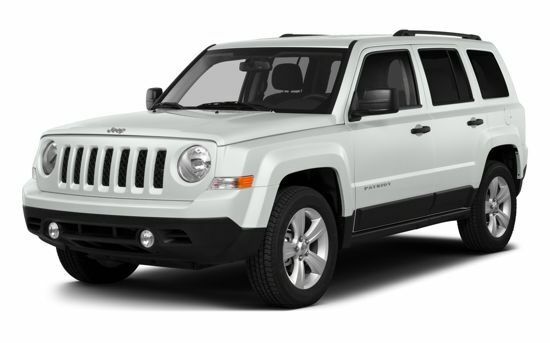 The Jeep Patriot is a an exciting compact crossover at an affordable price. Designed with special attention to detail to make sure that both passengers and drivers are comfortable, the Patriot is as plush as it is versatile. There's the available leather-wrapped steering wheel, attractive chrome accents and more. It also has available flip-down liftgate speakers, a power sunroof and an abundance of cargo space. The Jeep Patriot is perfect for tailgating, camping or everyday commuting with the whole family. Ready for adventure, the Patriot provides added traction control and support in any climate. If you're ready to take your family trips off the pavement and into the great outdoors, the Jeep Patriot is worth a closer look. When you're on the go, you don't have room for everything. Even if you want to bring a luxury sound system, it just isn't practical. 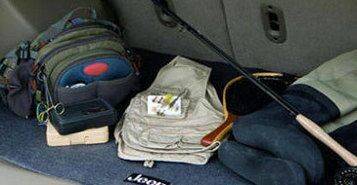 Luckily the Jeep Patriot has available liftgate speakers so you don't have to pack anything extra. 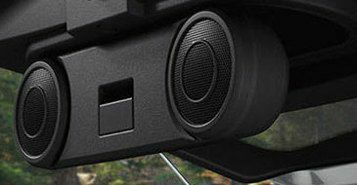 These speakers flip down from the liftgate when the rear hatch is open. You can choose from a standard four-speaker audio system or an available 368-watt, nine-speaker Boston Acoustics Premium Sound System with subwoofer. This feature is perfect for tailgating or camping. Always have your entertainment wherever you go. 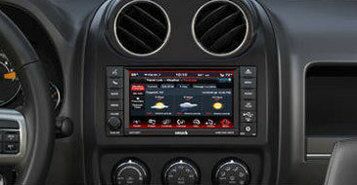 The available Uconnect System system provides SiriusXM Satellite Radio/ CD / DVD player with MP3 format capability. It also has a 6.5-inch touchscreen, Garmin GPS, a USB port and more. It will make sure you have an enjoyable trip no matter how far you have to go. Get where you're going while staying entertained and informed. The Jeep Patriot is made to be molded to your needs. It has 60/40 split-folding reclining rear seats. The Patriot gives you a maximum 53.5 cubic feet of cargo volume. This is enough room for camping gear, luggage or sporting equipment. No matter what your adventure includes, the Jeep Patriot has you covered.